IT’S A PLAIN OLD FACT THAT Forty&Deuce GEAR IS FRIGGIN AWESOME … NOW GET PAID TO GIVE AWAY DISCOUNTS! Forty&Deuce products are pretty damn amazing, unique and as they’re all designed by, or exclusively for us … you won’t see em anywhere else. So … if you’re looking for a nice little earner but don’t want the hassle of creating product collections and the considerable expense of setting up your own store, the Forty&Deuce Affiliate Programme has been designed for you. Furthermore, if you want to build your own team of affiliates we’ll pay you a further 5% override on their sales. "OK, you’ve got my attention … Tell me more!" Affiliate Marketing is a little known and even less understood business model on the Internet, yet is massive for those ‘in the know’ with top marketers earning $Millions/year! Affiliates enjoy a highly enviable 100% gross profit product, no capital outlay, no stock, no staff … all the good stuff with none of the crappy overheads. Now that’s a great business model. You’ve worked hard to develop a great website or customer base, or are just pretty damn slick at marketing. Now it’s time to sit back and reap the rewards. Simply hop aboard the Forty&Deuce Affiliate Programme, direct traffic and make money. Forty&Deuce will handle the order, deliver the product and answer customer inquiries, as well as give you all the tools, information, help and support you need to leverage your affiliation. There are no membership fees and no minimum number of sales required. 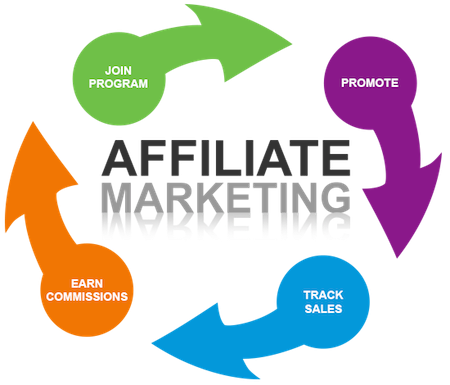 You simply fill out an application and upon approval you will receive an Affiliate ID. The Affiliate ID enables you to sell Forty&Deuce gear whilst everything is automatically fulfilled and sales tracked to you. You will be paid up to 25% commission* for every qualifying product a customer purchases through your site or your ID. You can receive payment on a monthly basis as long as the minimum threshold of $50 is reached (amounts under this threshold can be carried over to the following month). You can monitor your referred sales on a daily basis through your Affiliate Dashboard and watch your rewards grow! Using the Forty&Deuce Affiliate Management System (AMS), you can keep track of products purchased using your Affiliate ID. The AMS shows each product as a separate line item, total earnings to date, and total amount already paid out. You can sort your products by date added, current status, and alphabetically. The system will show you any products that have been cancelled and any negative amount against that product affecting your pending pay-out. At any time you can change your personal details, including website name, description, contact phone number or bank account details while logged into your Affiliate account. By enabling your visitors and customers to buy Forty&Deuce products from your website, you add value to your customer’s online experience and get paid for your referrals. There are no membership fees to become a Forty&Deuce Affiliate. There are no hidden monthly costs or prepay expenses. The total cost to become an Affiliate is about 10 minutes of your time and whatever you invest in marketing. Our Affiliate Programme pays you for every customer that buys a product through your links. If they leave the site or abandon their cart, our system will send alerts and follow up emails to try and convert the sale. YOU get the credit. Our tracking will credit you with a sale even if the customer returns up to six months later. Our secure tracking system makes it easy to view your account balances and registration history online and ensures that you will be paid for every order on a monthly basis. 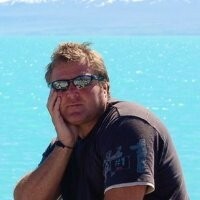 I’m Paul Tranter, the person behind the websites. Over the years I’ve made a fantastic living off the Net. I’m a down-to-earth English bloke who quietly sits under the radar here in New Zealand and relentlessly gets on with the business of doing business. Over the years the Internet has been good to me and I now feel the time is right to give something back by creating quality, desirable products and making them available to anyone who’s looking to generate a supplemental or full time income through strategic partnerships. Since 2000 I’ve been on both sides of affiliate marketing and learned a lot along the way. I have operated many online businesses from software services and publishing services through to full blown subscription websites which have seen members total more than 300,000. Over the years and under various guises and pen names I have worked with many of the top Internet Marketers on joint venture partnerships and if I’ve not been behind some of the busiest sites in the Internet Marketing niche, I’ve helped promote them. I launched Freenetleads way back in 2002 that generated a membership of 500,000 people by it’s third month, a system designed to grow opt-in mailing lists and ‘Holy Crap’ did it work! Those lists brought in literally $millions over many years … my own little money tree! Trading as Internet Unlimited, we built system after system, pushed product after product and all this as I traveled the world, sailing my yachts and living the Internet Dream. You don’t develop fast growing businesses and manage the growth without making some mistakes. But I’ve taken those experiences on board, learned from them and used the knowledge to ensure we achieve the very best for our partners. From those early days we’ve gone on to build our own systems which integrate and interact with all the new platforms now evolving online, and plan to continue the evolution … with our partners. We’re building the world’s most powerful automotive search engine GAUK Motors and with Forty&Deuce plan to add quality, exclusive products on a regular basis. So, that’s where we are today. Moving forward, I’ll help you in any way I can and share my experience through the affiliate newsletters and articles.